After years of search engine optimization (SEO) experience while utilizing countless SEO tools (free and paid), we have identified the top 19 free SEO tools of 2018. Google Keyword Planner (GKP) is the only tool providing keyword data directly from Google. Although several changes to GKP have limited the accuracy of the data provided, keyword planner is still a viable keyword research tool. 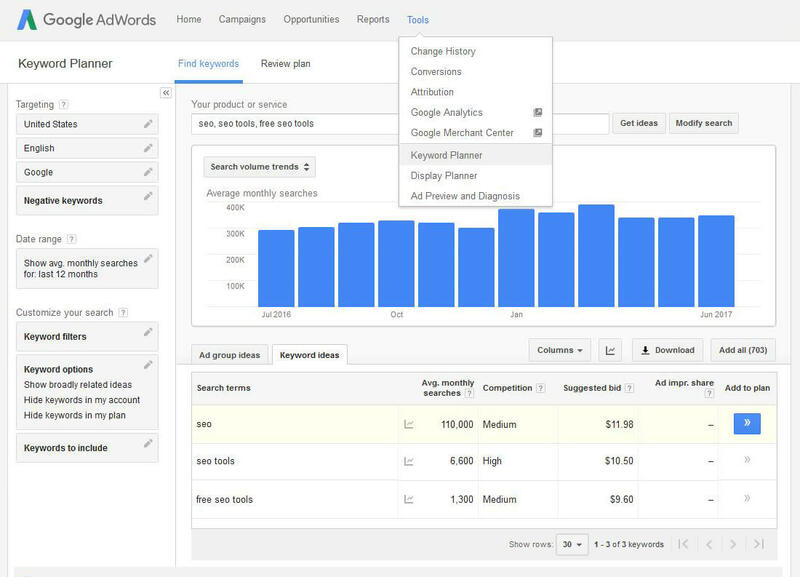 This free tool provides AdWords search volume, along with suggested bids and metrics on how competitive a phrase is. 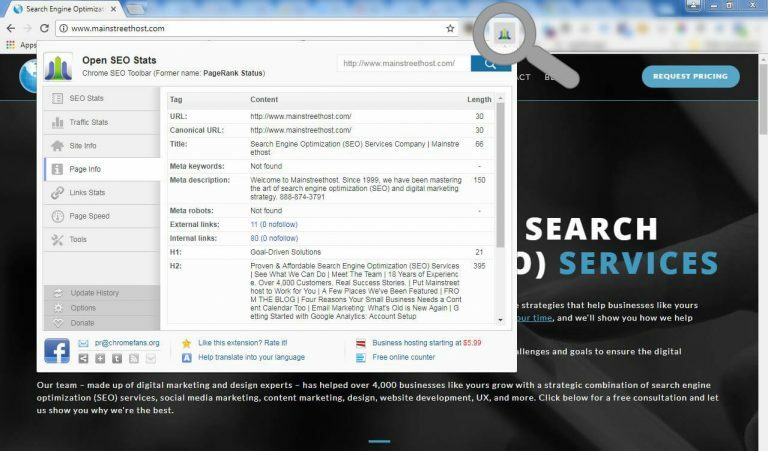 The Handy Export feature allows you to quickly get a cluster of keywords together for further analysis and exploration. Additionally, the tool allows you to drill down into more specific phrases and multiply your keyword list by combining a group of phrases together. 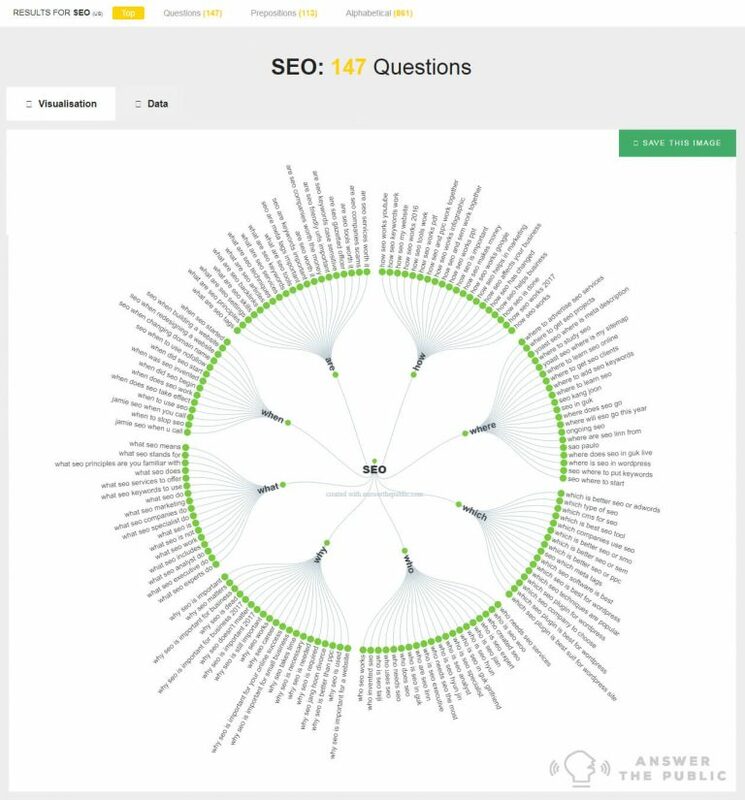 Answer the Public is a visual keyword research tool providing search phrases in the form of questions. Scraping data from Google Autosuggest; Answer the Public allows you to quickly generate hundreds of key terms while gaining an understanding of how your potential customers are searching. This tool does not provide search volume or competition data but instead focuses on visually representing popular search phrases. Keyworddit is a keyword research tool that extracts terms directly from Reddit. This alternative keyword tool generates phrases from popular subreddits. Keyworddit also allows you to check the context of how the keyword is being used within reddit, an insightful way to gain perspective on how people are searching. Curious to know the popularity of a keyword? Google Trends can provide you with a timeline of the overall interest of search phrases dating back to 2004. This tool ensures your keywords are trending in the right direction, saving you time and money by eliminating a wasteful investment in dated key phrases. Open SEO Stats is a free Chrome extension for gaining quick insights about a webpages’ on-page SEO. This extension helps identify on-page SEO elements like page title, meta description, canonicals, H1’s and H2’s. This extension allows you to quickly audit a webpage in an easy-to-read fashion, eliminating the need to scroll through source code. 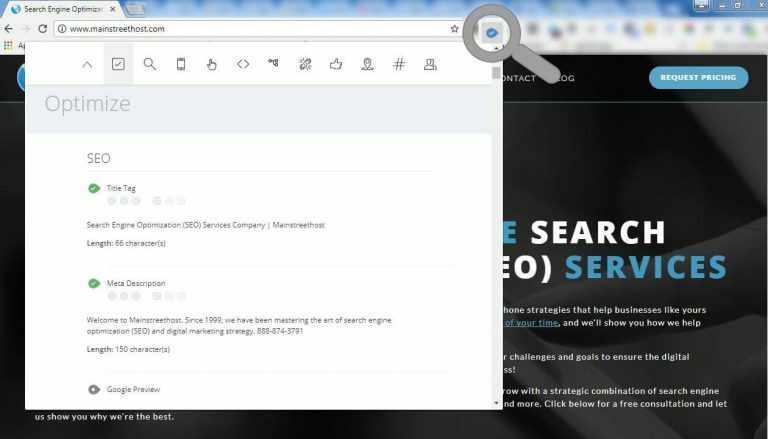 This easy to use Chrome extension provides a one click scan of the website you’re viewing. The WooRank report will grade the website and provide feedback regarding basic on-page SEO elements (page title and meta description length, etc). The report also features helpful scans of mobile-friendliness, site speed and social engagement. Quicksprout is a quick website analysis tool that combines analytics and site performance. 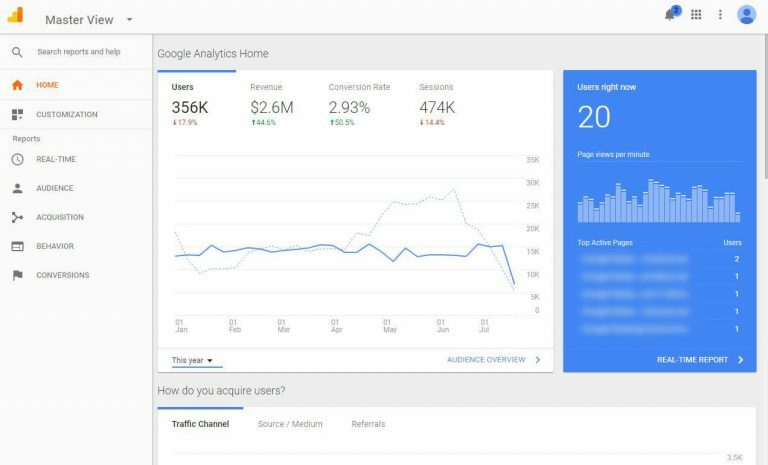 This resource distinguishes itself from other free tools by allowing you to connect your Google Analytics account to their services. The tool will then analyze your websites SEO, social shares, and help you make sense of Google Analytics reports. Quicksprout also provides recommendations and alerts when it finds something on your website that could be improved. Check My Links is a Chrome extension designed to seek out all broken links on your website. Simply activate the extension and it will comb through all of the links on your page and highlight any broken links. Screaming Frog swiftly gathers website details by crawling your entire URL structure. Quickly audit page titles, meta data, finds broken links, generate a sitemap, and more. The free version limits your crawl depth to 500 URLs so you may need to purchase a full license if your site exceeds the 500-page limit. 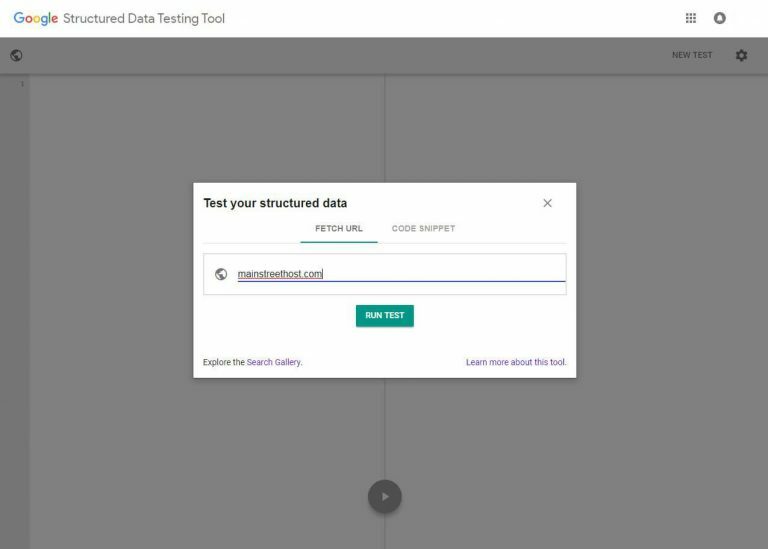 This free tool from Google allows you to test and validate structured data markup language from schema.org. Validate your markup by entering your JSON-LD, microdata or RDFa directly into the testing tool, or input a URL to have the tool check for valid markup. The testing tool will provide you with feedback on errors while allowing you to easily analyze your markup to check for accuracy. Check your site’s speed. We know site speed is a valid ranking signal so it’s logical to test your site on the search giant’s platform. Google’s tool grades your site speed on mobile and desktop while providing actionable insights that you (or your developer) can implement. Fear your site may have been hit with a penalty? Want to check a sites history before taking on a new client? 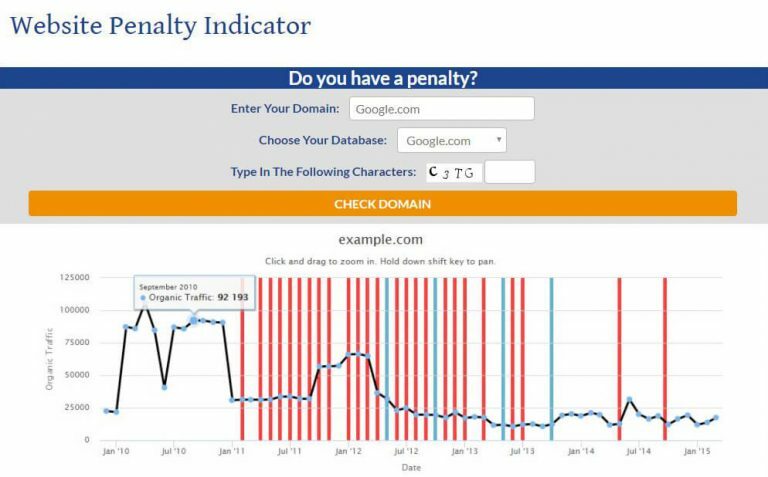 The FE International website penalty indicator allows you to review traffic estimates (based on SEMRush organic traffic data) with known Google algorithm updates. This is a must have tool when working with new clients. You need Google Analytics, it is an absolute must. If you are looking for reliable, actionable insights on your websites performance, look no further than Google Analytics. This free platform is the foundation for any serious digital marketing efforts. Gather insights on how your website is attracting visitors, understand the efficiency of individual pages, and compare performance year over year. If you’re not using Google Analytics, get started here. Google Search Console is another free tool brought to you by Google. Search console provides a host of helpful features namely checking how many pages are indexing, finding links pointing to your site, identifying popular landing pages, queries your site is indexing for, and more. Search console is also where you submit updated sitemaps and can request indexing of new pages. This free add-on for Google Sheets allows you to pull data from Google Search Console and bypass the 90-day date range limit. You can retrieve Search Console information (ranking, queries, impressions, landing pages, etc.) directly into Google Sheets. Firing marketing tags on your site? Google Tag Manager (GTM) is designed to make tag management simple. GTM provides an easy and organized way to deploy tags on your website, eliminating the need to harass your development team to install your latest marketing tag. Tag manager offers a central location to execute and update code snippets on your site. A free chrome extension to debug Google Tags including Analytics, Tag Manager, AdWords, Floodlight and more. Tag assistant uses a color coded system to let you know the health of your tag installation. You can also record a typical conversion path to diagnose any misfiring tags. 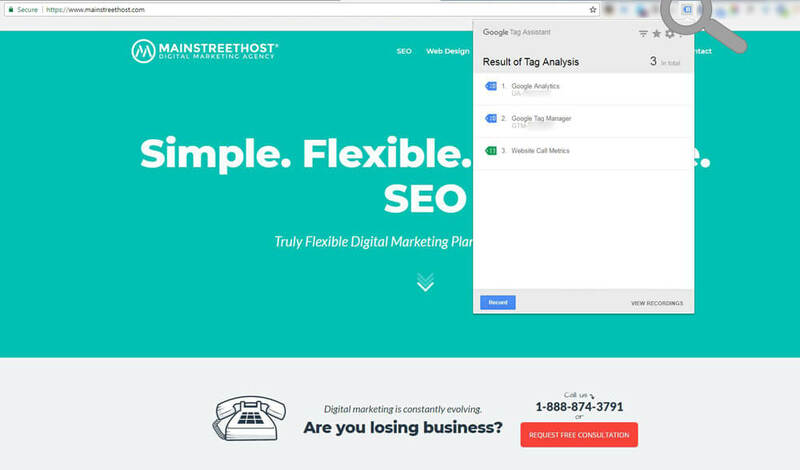 This tool allows you to detect all marketing tags in an instant. 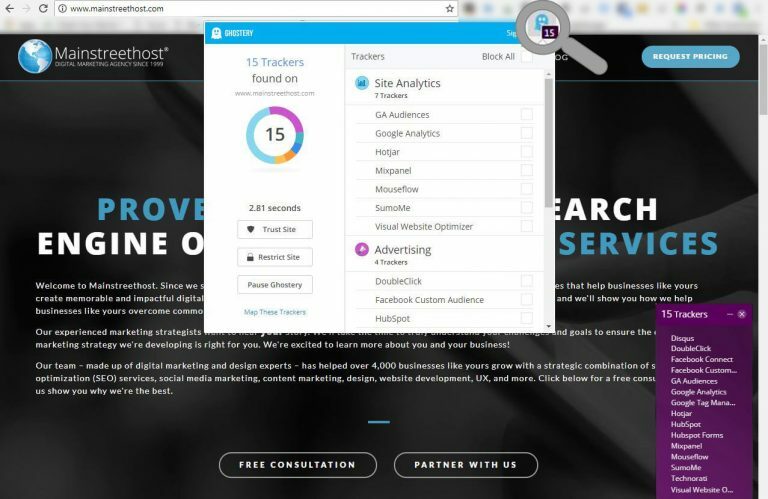 Ghostery is a free chrome extension that alerts you of all marketing trackers on the website you are visiting. You can verify the firing of marketing tags, scope out the competition, and block sites from tracking you. GAChecker provides a quick way to verify if the Google Analytics (UA) code is on every webpage. This free tool will also scan your site to ensure that Tag Manger, AdWords, Optimize, Google Survey and DoubleClick codes are installed and firing on the appropriate pages. 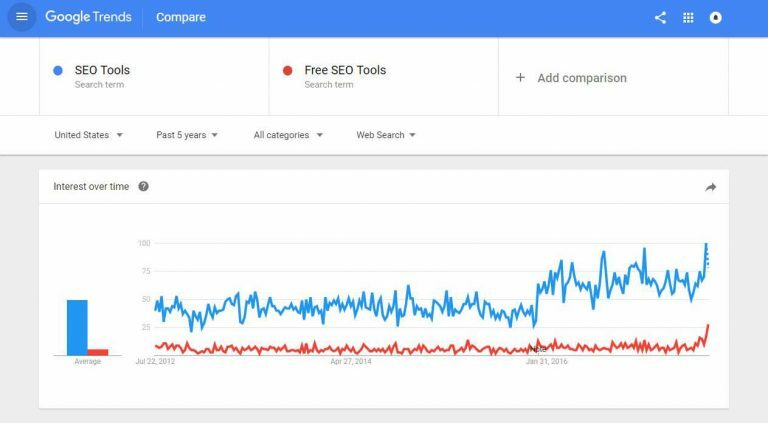 Check back for updates on our top 19 free SEO tools. If you have suggested tool that did not make our list, let us know! We will test your suggestion to see if it can earn a spot on our top 19 free SEO tools in the future. Thanks for including Keyworddit, that’s a beautiful infographic. Thanks Dale for developing a fantastic tool! I didn’t realize there were so many good free tools. I will have to check some of these out. I’m always on the look out for the best tools. The right ones will save you so much time and money. Awesome Stuff Paul! You listed one of my secret tools for finding long tail keywords, Answer The Public. I love this site and use it often. ( Kinda like the dude on the front end of that site too, he’s entertaining and a good distraction for a few minutes ). Screaming Frog is a no-brainer and a must have for anyone doing technical SEO. It can also make you look like a true pro if you use it in your up front analysis during the client getting process. Thanks for this list Paul. 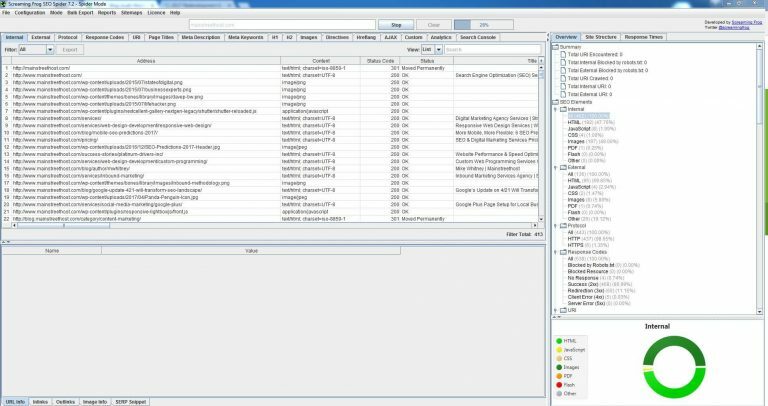 I use screamingfrog site auditing tool a lot along with Website Auditor from linkassistant. Besides, I love using ahrefs for Keyword Research and Link Audit. Thanks for sharing wonderful info graphic full of knowledge. Website Speed and Sales: Is there a Considerable Correlation?